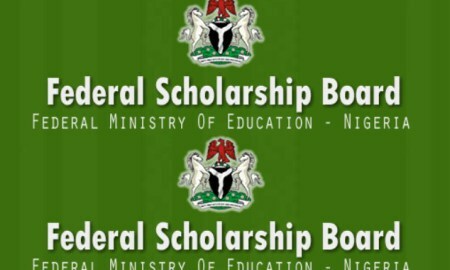 The Federal Scholarship Board, FSB Scholarship exam centres, venues, seat number and schedule for each candidates that registered for the FSB Scholarship Awards for students in Nigerian Tertiary Institutions have been released. The User ID = candidate registration number to be used for login. Please come along with result showing your CGPA. NB: The PDF file is best accessed with a computer.